This time of year is a good one for planning for the future, as I blogged about recently. However, it’s also important to recognise your successes from the past year as well. 1) Continuing the growth of taxhelp.uk.com – we continued to help more clients pay less tax and avoid fines in 2011 and the company had significant growth as a result. 2) Moving ahead with my plans to franchise taxhelp.uk.com, including obtaining my trademark. My initial thoughts about franchising the business started in 2009 and since then have been developed through consultations with many professionals as well as franchisees and franchisors. The franchise solicitor has been engaged and plans are on track now for a spring 2012 launch. While celebrating our successes it’s also a good opportunity to recognise those who have helped us get here. On twitter we have ‘follow Friday’ where we recognise those who we recommend, and I think that a blog on 2011 is a great opportunity for this as well. Fiona Humberstone – founder & owner of the Flourish studio in Guildford. Fiona has helped immensely on our marketing journey since 2008 and also had a major influence on my direction for 2012, bringing extensive experience and success in the market. Elizabeth Cairns – who I met in 2011 on the Focus & Flourish workshop. Elizabeth’s session at the workshop was very powerful and achieved in a short time the type of results I have seen take days in the past. Suzanne Dibble – our franchise solicitor, Suzanne has extensive experience and also runs her Lawyers 4 Mumpreneurs practice providing advice and help to small business on legal matters. Ivan Misner – As I mention above, I am very grateful to Dr Misner for his time in our 121 meeting and the very valuable advice he shared regarding franchising. Joani Durandette – Joani is the Social Media coordinator for BNI worldwide, based at head office in LA. I have been communicating with Joani for over a year and also had a 121 when I was in LA. Nick Tadd & Vanessa Warwick – for their thoughts and usage of Social Media to help businesses grow. I have known Nick & Vanessa for several years and their use of Social Media is extensive. Their property tribes site is also the leading UK site for their area now. Jay & Ces Loftus – for their work on my websites – transferring the taxhelp.uk.com website to WordPress and integrating the blog in 2011, as well as creating my private www.jamesmcbrearty.com site. Hannah Liversidge – for starting and running the business accelerator monthly networking meetings. These are unique meetings where business owners take half a day to get together and share their knowledge to help each other. Dinah Liversidge – I first met Dinah through BNI, and have also met her again at the business accelerator meetings. Dinah also shares her knowledge with business owners to help them grow, and is the founder of the unique breakfast club networking meetings held on weekdays on twitter. Nikki Pilkington – who has helped with our SEO in 2011. Having read Nikki’s ebooks I was impressed by her in depth knowledge on this specialist area. 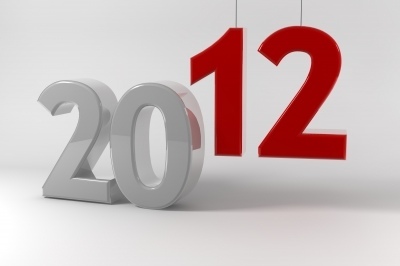 I’ll be blogging about my predictions for 2012 soon, as well as how they tie in with my plans. What were your successes for 2011? And who would you thank for helping you get there?